One of the mainstays of the Internet are self-check quizzes you can take. The ones I like are the political ones. The most famous is the “World’s Smallest Political Quiz” to find out if one is a Libertarian – I’m not by the way. Another quiz that actually can help one understand US politics today is the isidewith.com. You answer questions on various issues and as if by magic the quiz tells you which Presidential candidate your views align with. 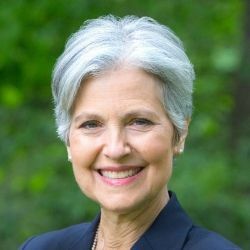 I wasn’t surprised mine were aligned with Jill Stein from the Green Party. 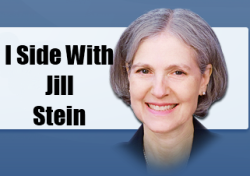 This entry was posted in Politics and tagged 2012 US Presidential Election, Democrats, elections, Green Party, Jill Stein, political quizzes, Republicans, State Issue 2 (2012), voting reform on October 17, 2012 by Doug.